Working with TigerStop to solve your machinery needs. POWER-UP YOUR JOBSITE OR WORKSHOP SawGear ® is a simple and intuitive automated stop. No more using a tape measure or setting manual stops, which means you can produce more parts with increased accuracy. SawGear easily attaches to your existing saw, drill, and punch. 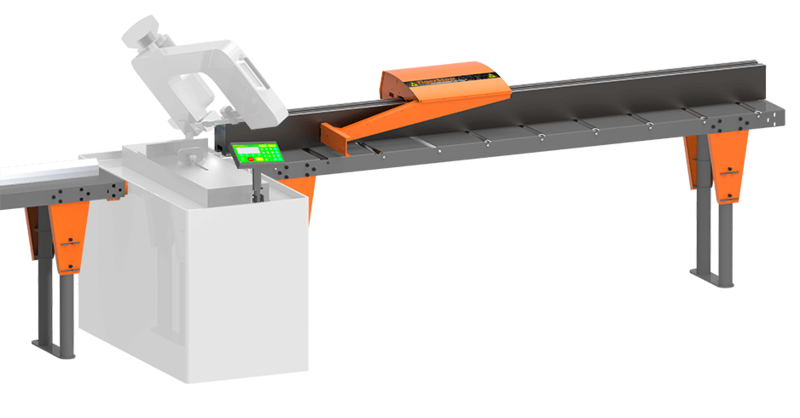 SawGear® is a highly portable automated saw fence that removes the need to set and adjust manual fences for length positioning and complex miter/angle cutting. Using SawGear® in place of a manual fence or stop block allows the operator to increase accuracy and productivity, and decrease miscut parts and rework. 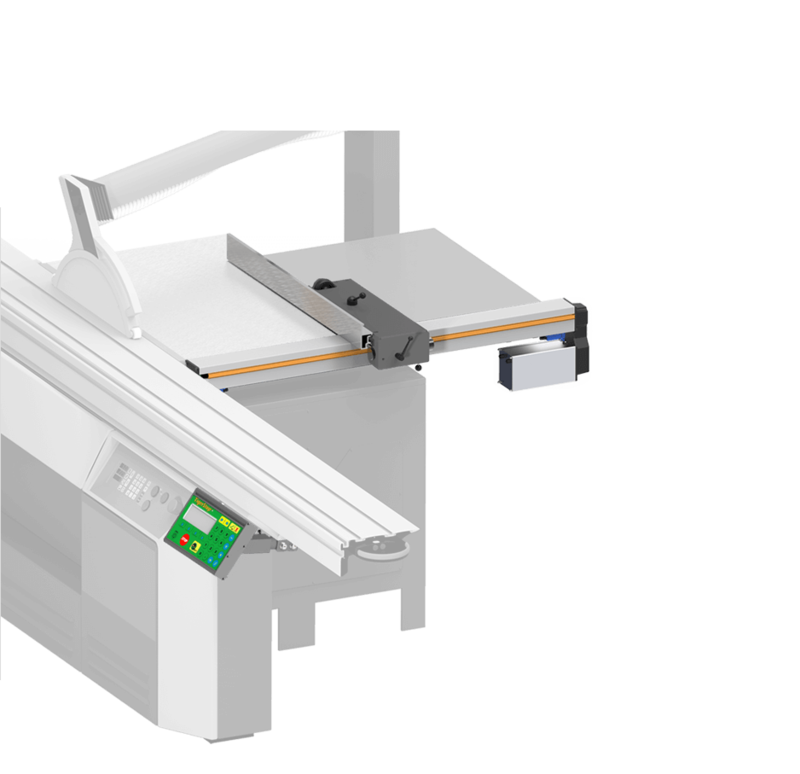 A standard SawGear system can be mounted on any existing shop work bench. Adding SawGear’s portable tables to your order allows users to reap the benefits of automation on the jobsite. 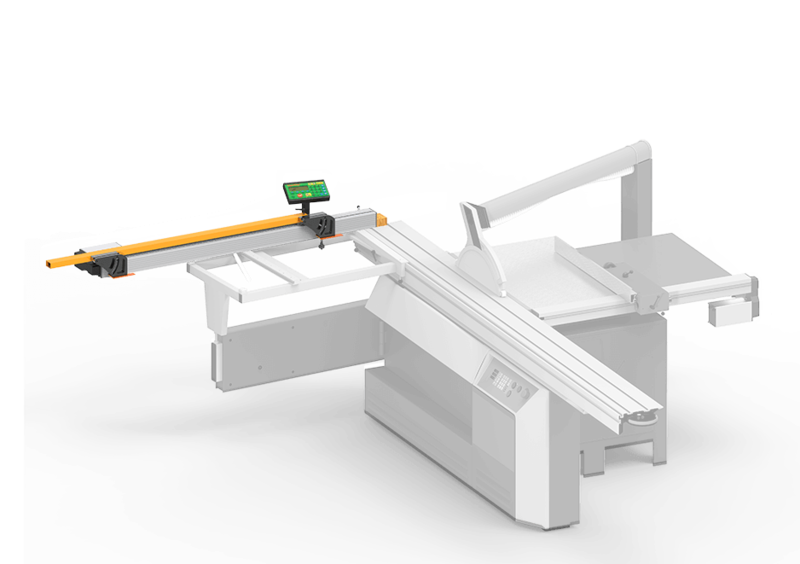 With Crown+MiterPro™ software, SawGear® will easily calculate positions for angled or mitered parts. This makes hanging crown and baseboard a simple and math free process. Any operator is your best operator with SawGear®! SawGear has Crown+MiterPro™ software that calculates part angles and lengths so the user doesn’t have to do complicated math. This makes it easy for anyone to install crown molding with minimal training because the process is so much easier. Using Crown+MiterPro™ allows you to hang crown in a fraction of the time. Setting up your machine to cut accurate parts is one of the most time consuming activities in your shop. SawGear® takes stop setup time down to 0 and keeps your operator making parts and making you money. With SawGear® you can forget inaccurate parts and rework. You get it right the first time! Not only do you get a better quality job, your guys get more done in the same hours… every day. SawGear is designed so you can throw it in your truck and take it to the jobsite with ease. 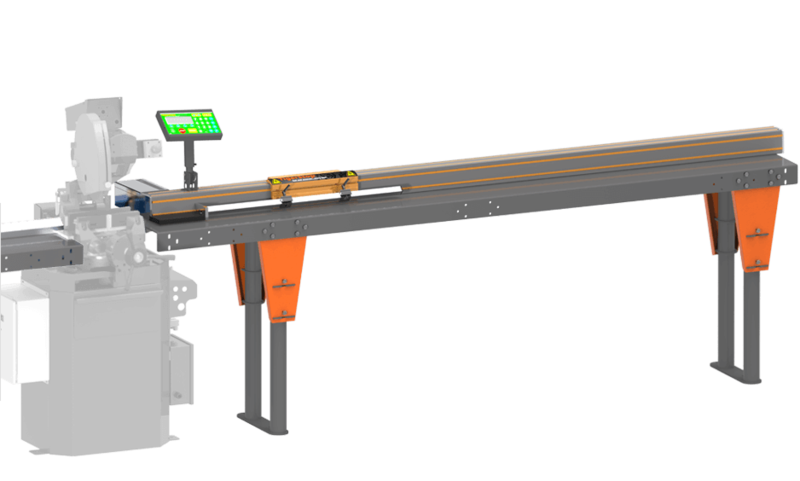 Simply add SawGear’s portable infeed and outfeed tables to your order. SawGear® is designed for simplicity. 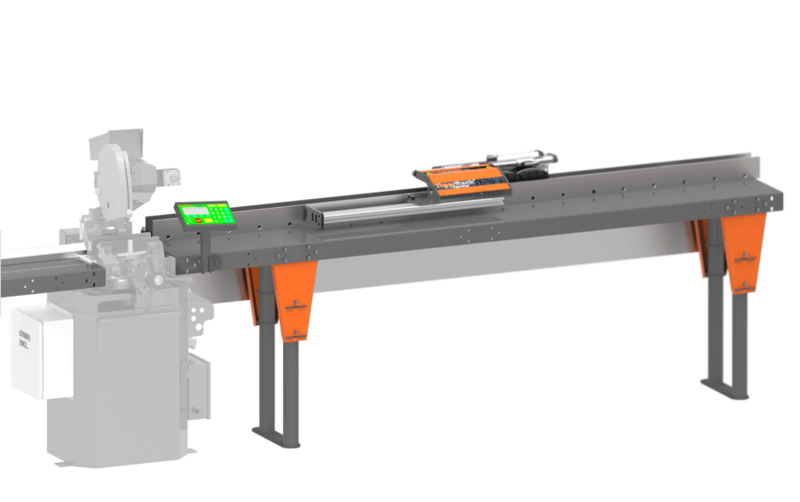 Why spend weeks training operators when they can be cutting accuratly with SawGear® today? Interested in buying SawGear? Check out our e-commerce store. SawGear® is designed as an automated stop. If you need to push, pull, or position parts, as well as download cut lists, optimize material, or use a touch screen tablet, you may want to consider a TigerStop® instead. Mailhot Technical Services provides top quality industrial machine tool sales, service, and repairs. We design, repair, replace and install components to customers’ satisfaction in a timely and cost-effective manner. © 2019 TigerStop Support. All Rights Reserved. - Website built by Zenith Exhibits, Inc.